Yearbook distribution is the most anticipated day for a yearbook staff and an exciting day for the student body. We know this. In my first years of advising, distribution was simply distributing the yearbook. We set up a few tables in front of a bench next to my classroom and the yearbooks were picked up. Done. 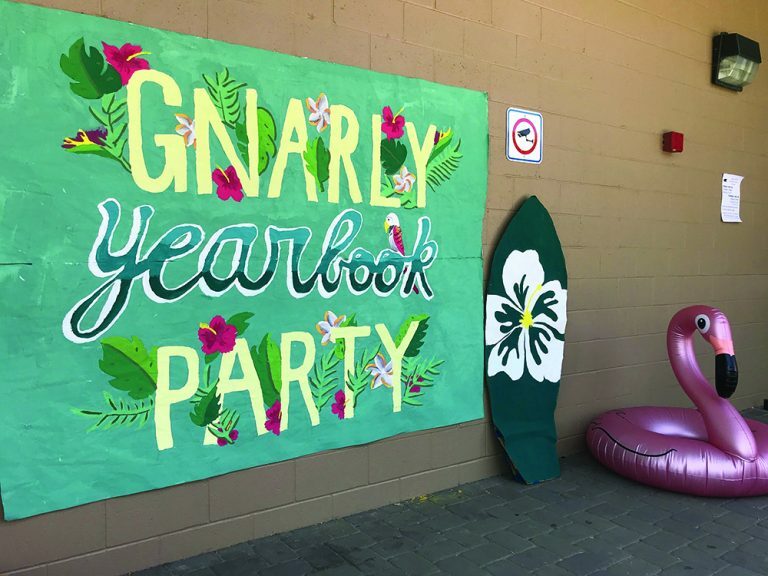 What I didn’t realize is that I missed an opportunity to let students, at the apex of their yearbook experience, complete their marketing cycle, plan and execute an event, and enjoy a few fun hours at the end of the year. In the last three years, we have turned yearbook distribution (a chore) into a distribution and signing party (a delight). What I didn’t know was that this event would serve many purposes including increased sales (due to hype), easier recruitment for the following years (kids want to join fun classes) and more general publicity (from exposure). I would, to be candid, much rather focus on the production of the yearbook. Many of us advisers find that we signed up for running a whole business, but the reality is, all parts play into the whole. I had to embrace the aspects that I wasn’t comfortable with and soon found out the better you market, the more fun you have, the better your program will fare. And you don’t have to personally take it on. In fact, the kids need to. Here are two key takeaways: students were quite good at managing their distribution event even though I felt overwhelmed, and even though your first event may not be well attended, each year more students come out. Organization: Everyone should have a purpose during the party. Plan it all before. Who will be distributing? Decorating? Running activities? Selling? Distributing: We print out an Excel spreadsheet of all pre-sales, students show ID and sign once received. I recommend having a trained adult supervising to avoid books disappearing. Stop pre-sales and increase price: Give students a reason to buy before distribution. Turn sales back on the next day at an increased price. Building hype: Marketing posters, social media and a morning announcement countdown. Invite admin and staff: Everyone should celebrate this moment – students want their teachers to sign their books! Social media mural + props for pictures: Our school has a culture of creating elaborate backdrops for social media pictures. We ran with it! Games: Anything that is fun! Water balloon toss, musical chairs, etc. Get a DJ: We ask the leadership class’ AVT team to play our playlist. 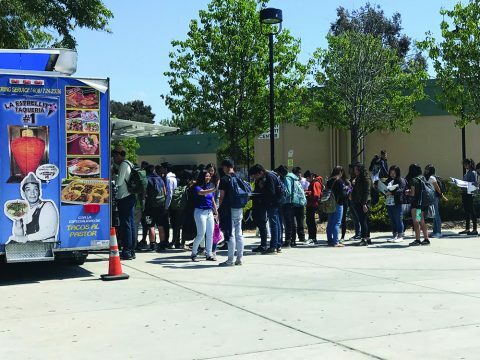 Food: Food trucks arrive at no cost. Taco trucks are a solid choice for us. Selling extras: Make some money with add-on sales: autograph pages, sharpies, covers and photo booth pictures. Survey: Have students submit feedback on a Google Form to improve for next year. Pictures: For memories and social media. Erica King is the adviser to The Galleon yearbook. She has been teaching at Silver Creek High School in San Jose, California, as an English teacher for seven years and a yearbook adviser for five. The Galleon has won in the last five years: CSPA Gold Medal Critique, 1st place Best in the West at JEANC Media Day and numerous awards in the JEANC Annual Contest.